Below are the full production teams for current and recent projects. The Christians offered an unusual opportunity to collaborate with a wide variety of organizations of faith. Led by Dareion Malone, the onstage choir for the play was composed of 25 area singers from congregations of all denominations. TalkBacks after most performances involved audiences, artists, and faith leaders from the community, including Rev. Josh Bowren, Rev. John Cleghorn, Rev. Jim Fuller, Rev. Dan Hester, Rev. Debra Hopkins, Rev. James Howell, Rev. Martha Kearse, Bishop Tonyia Rawls, and Rev. Val Rosenquist, whose church, First United Methodist Church, was a production collaborator whose mission aligned with the play's content. 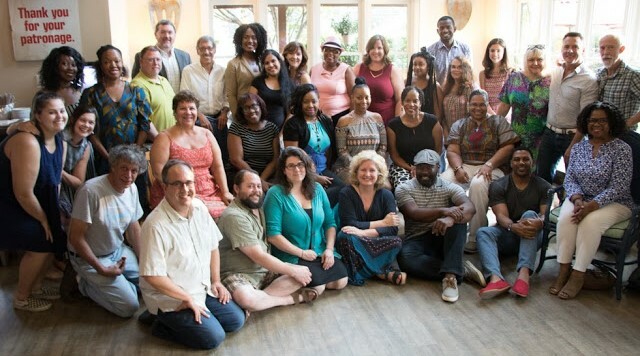 KAREN SINGLETON "Heart to Heart"
In addition to the Playworks staff listed above, the production team includes subcontractors from venues including Blumenthal Performing Arts Center as well as members of IATSE Local 322 for technical production support. In all, the production teams include 50 artists, technicians, administrators and vendors. * Actors' Equity Association is the national labor union that represents more than 50,000 Actors and Stage Managers. It is a member of the AFL-CIO and is affiliated with FIA, an international organization of performing arts unions. + SDC is the independent national labor union representing theatrical directors and choreographers. 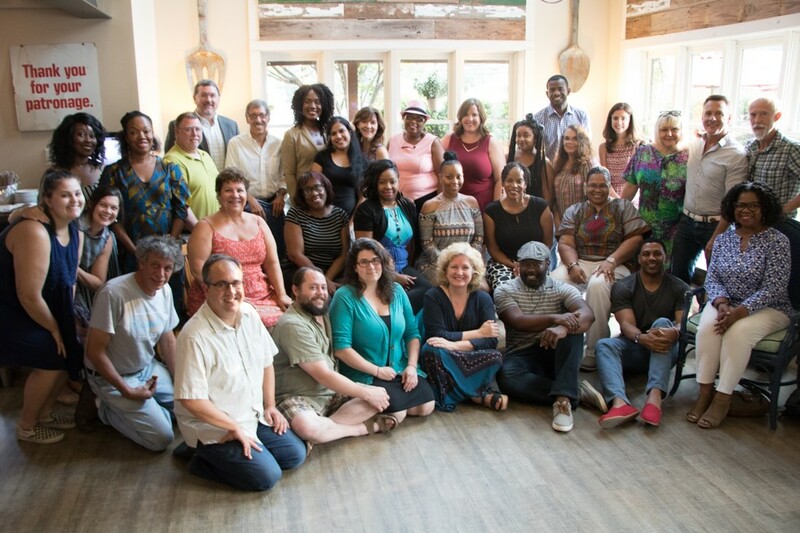 Co-producers and sponsors (The Christians): The Pine HIll Project endeavors to promote, provoke and produce through storytelling the exploration of issues which shape our shared human experience. (Lunch at the Piccadilly) Aldersgate is a visionary, all inclusive non profit continuing care retirement community.